Foxwell NT301 Review – Yes, budget friendly… but how powerful is it? 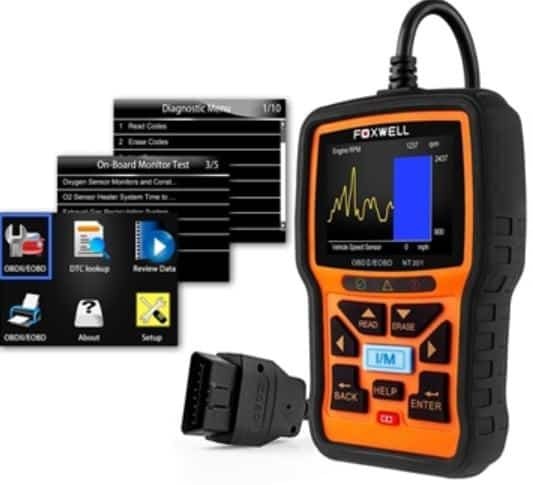 For your OBD2 vehicles, this is a great way to scan and diagnose any problems. This device will be able to provide codes, helping you to determine what's wrong with your car and whether it can be cleared out, fixed on your own, or if your car needs to see a mechanic. When the problem is dealt with, you can also erase the codes. The device has a nice look with the use or orange and black. It also has a sturdy and solid look, with the protective casing around the outside of the device. This casing not only protects the scanner but gives you a better grip too. The screen is big enough (2.8 inches) to read a lot of information, and the buttons protrude from the device slightly to give you a more tactile feel when you are navigating the scanner. The device connects to your vehicle through a cable, and as soon as it is connected, it will turn on. It will also draw power from your battery, so you do not need to worry about recharging or buying batteries for this scanner. You also have a USB cable to connect the device to your computer. 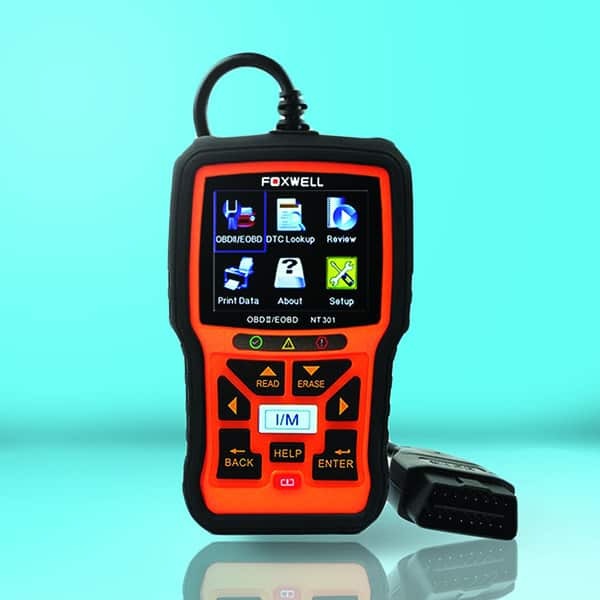 This scanner has been created to support all OBD2 vehicles. You will have access to live data once the scanner is plugged in, as well as O2 sensor tests, and more. You will also find that the scanner is compatible with most vehicles which were manufactured after 1996, as well as some manufacturers before that date. When you scan your system, you will get the codes for any problems. With many scanners, you usually have to then look up the codes in the instruction booklet or online. With this device, you can look up the code on the device, instead of having to have the manual with you. This allows you to diagnose the problem better and potentially fix the problem yourself. You have a CD included with this scanner so that you can install the software which downloads the code reader data. These updates keep you in line with the latest codes and vehicle models. You can easily update your scanner by connecting the device to your home computer with the included USB cable. The device allows you to read and erase codes. You also have access to live data, freeze frame information, emission-related problems, oxygen sensors, pending codes, vehicle information, and permanent codes. Alldata is presented in a way which is easy to read for the professional, but still with enough rich information to help an amateur get to the root cause. ​The device comes with a three-foot long cable, so when you plug it into your vehicle, you are not bound by the length of the cord. You can easily sit in the passenger seat and read the data from the screen. The length of the cord gives you more freedom when you are diagnosing problems with your vehicle. When you take your car in for an inspection, most inspections cost a lot of money. 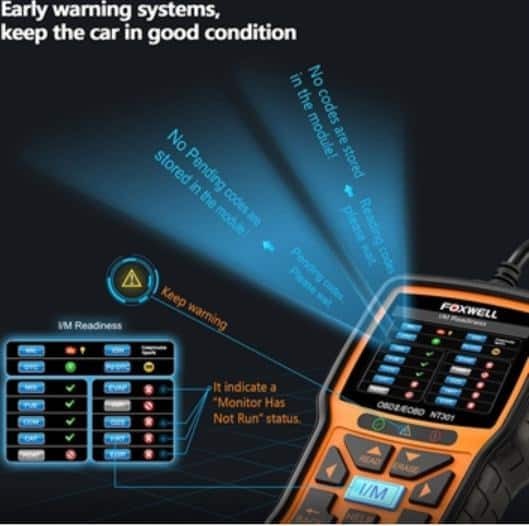 This device will save you from having to pay an exorbitant amount of money just for the technician to tell you what is wrong with your vehicle before work even begins to fix the problem. Not only that, but this device can perform an emission test, something which is not often down during a professional inspection. You will get a readout which will tell you whether your vehicle will pass or fail the test and recommend steps to take to fix any problems. The updates for this device are regular, so if you find that you do not have a vehicle which is compatible, then there is a good chance that the software will be updated soon, and the vehicle will become compatible. This is a great benefit if you are a mechanic. There are a lot of menu options, and the functionality is advanced. This is not a device for the average car user. 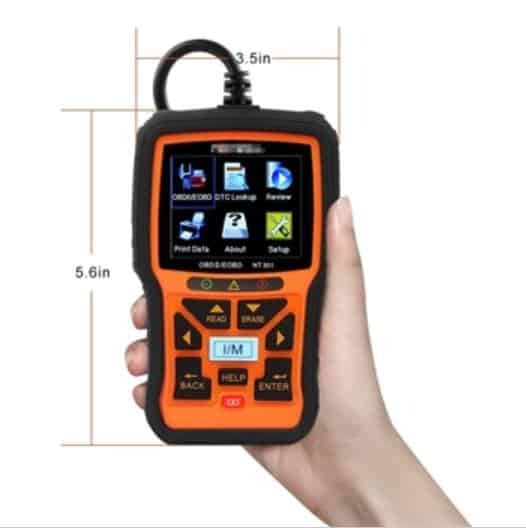 If you are not comfortable around cars, then the functionality of the device can be daunting, and you may find that you get lost in the menus and codes. This device is definitely for the more advanced user. 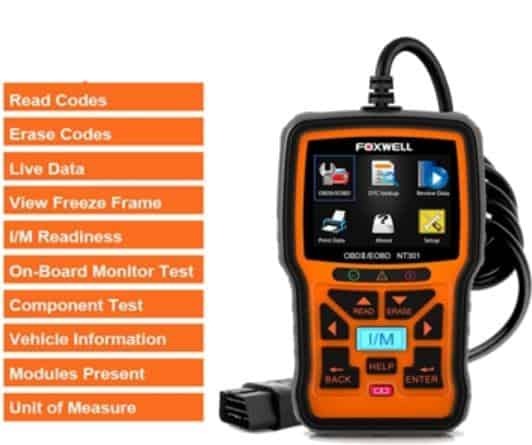 This is a valuable device for those technicians who are working with a wide range of vehicles, or for anyone who has knowledge of how vehicles work and wish to have a diagnostic tool which is going to help them with fixing their vehicle. This device will also be easier to use if you have some experience with technology.